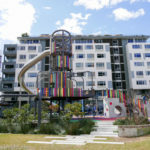 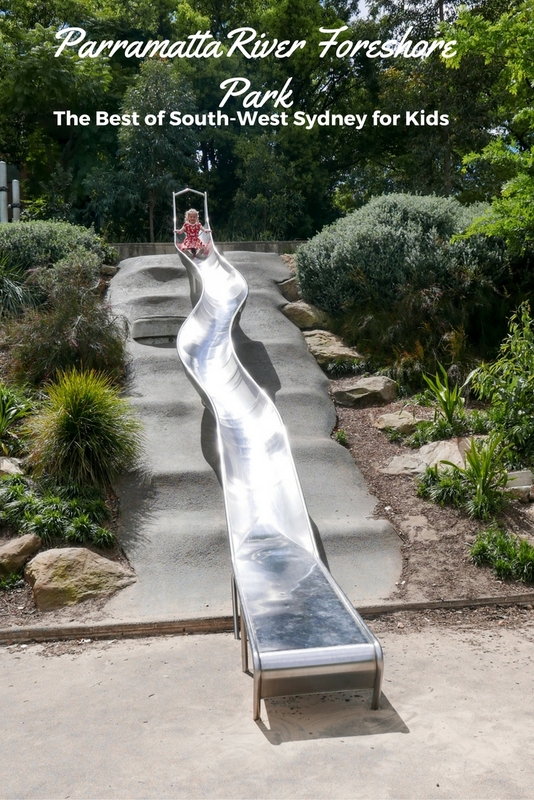 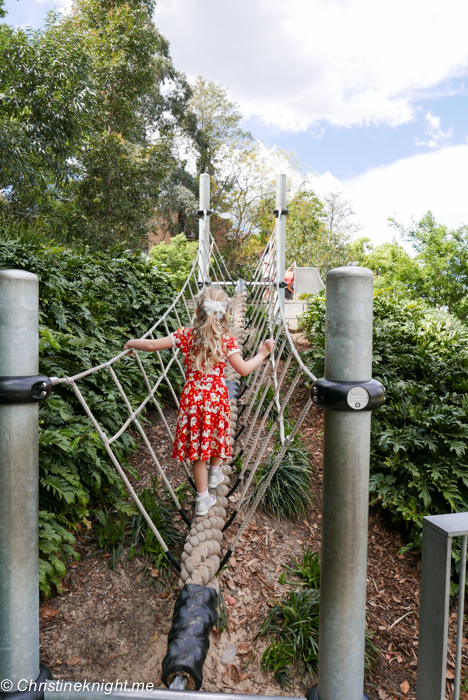 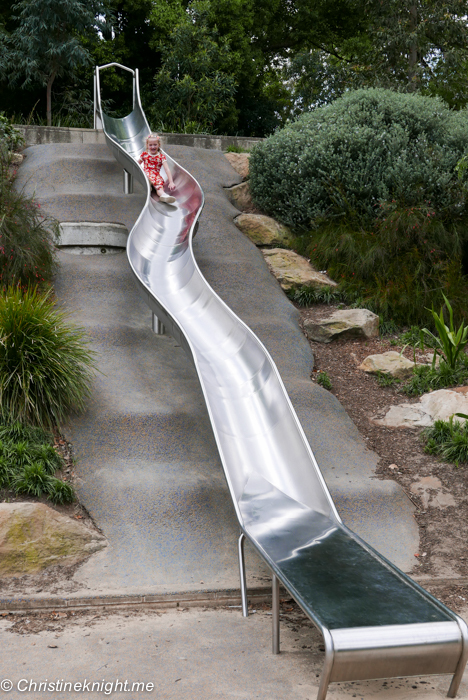 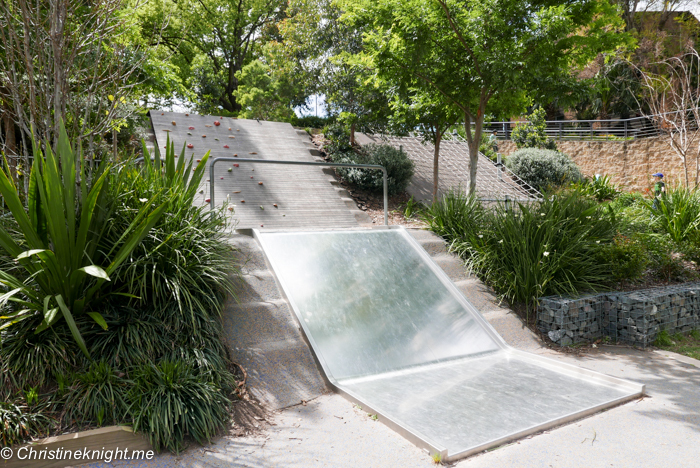 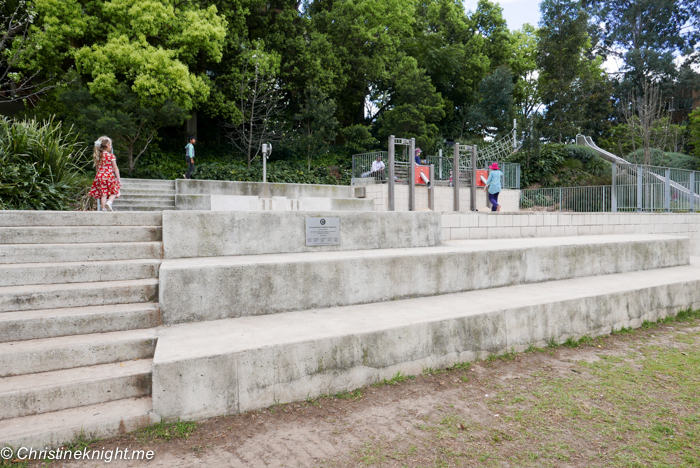 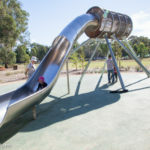 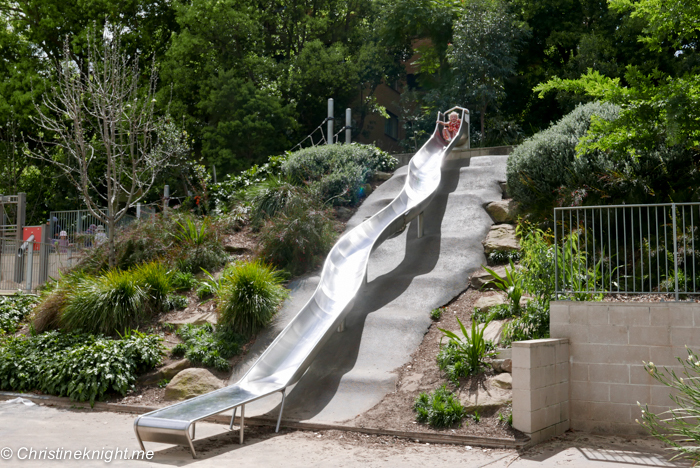 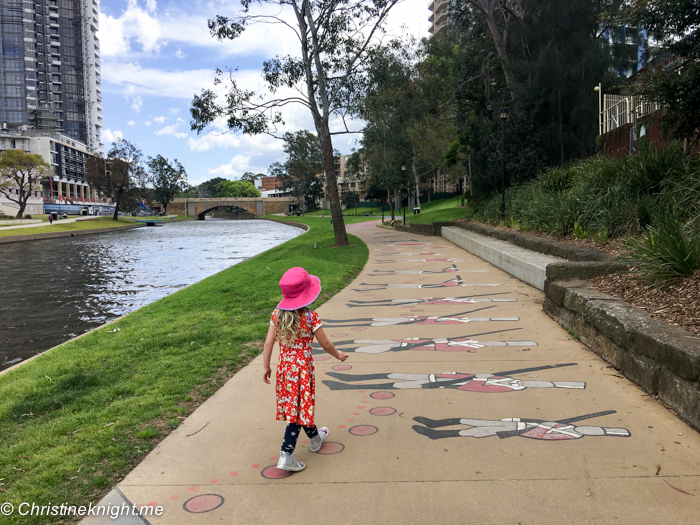 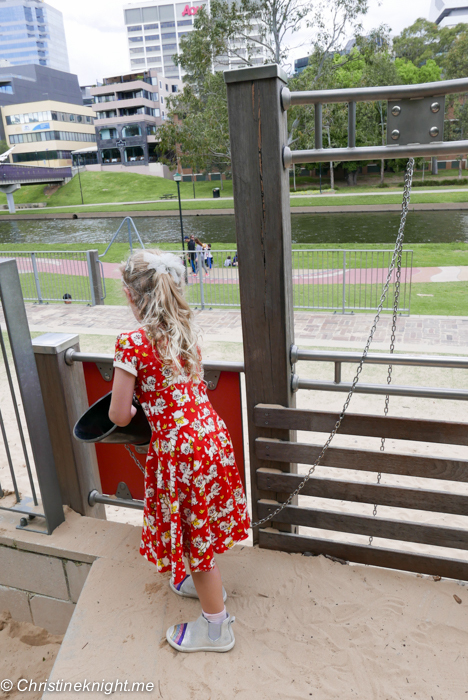 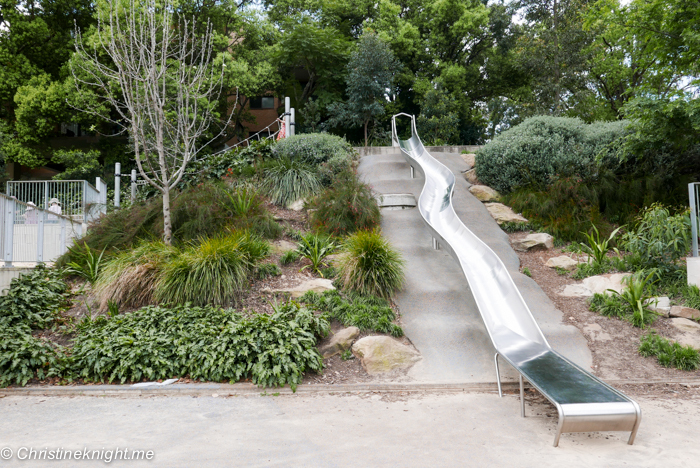 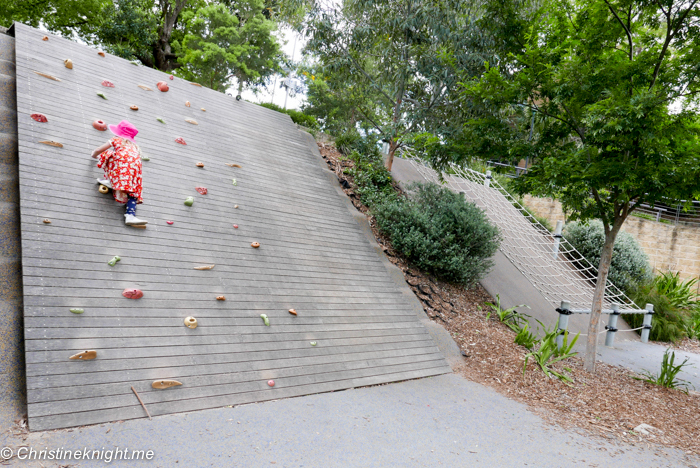 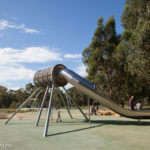 Sydney Playgrounds: Parramatta CBD River Foreshore Park - Adventure, baby! 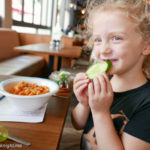 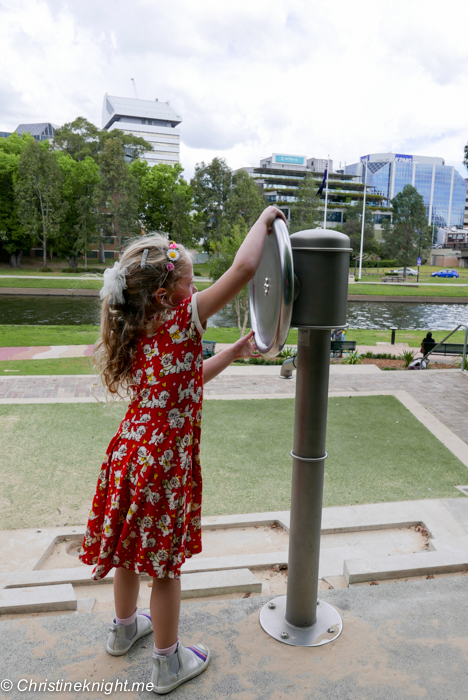 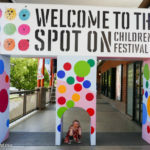 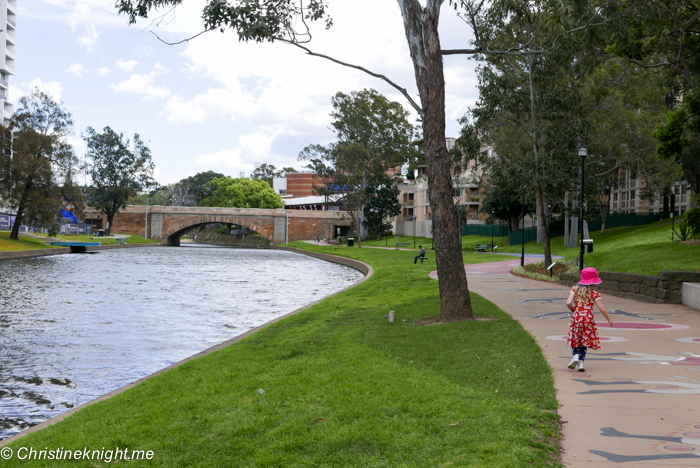 The Parramatta CBD River Foreshore Park is a great spot to run off steam with kids if you’re taking in a show at the nearby Riverside Theatre or grabbing lunch at one of the restaurants on Church street. 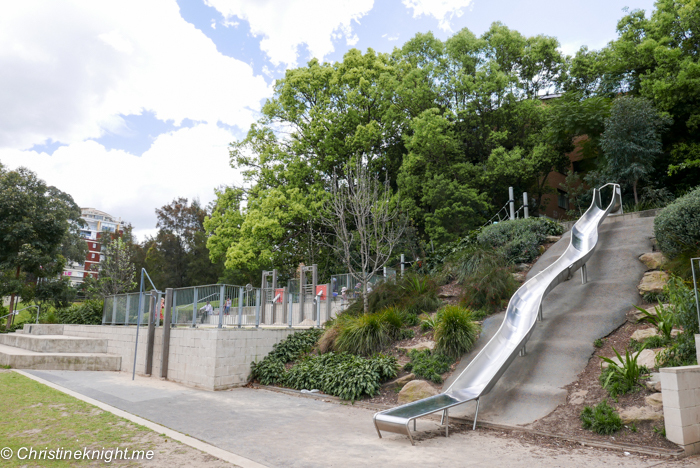 Built into the slope of the hill on the river’s foreshore, it’s got some really cool features like a 4 metre slide and rock climbing. 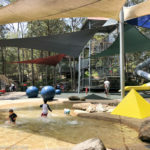 In summer, water features are turned on near the sand play area. 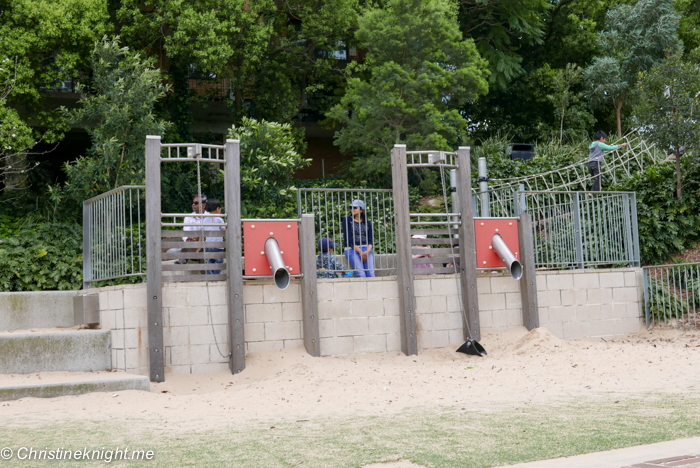 Be aware that the playground is not fenced, not does it have any shade cover or bathrooms.